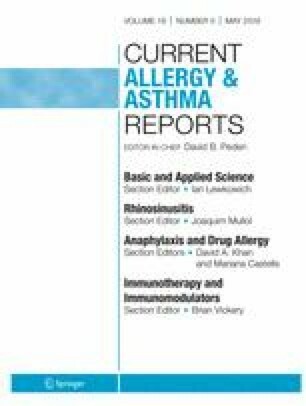 To review innate lymphoid cells (ILCs) and their role in chronic rhinosinusitis (CRS). The immune system consists of the innate and adaptive response. Until the recognition of ILCs, chronic inflammatory diseases were characterized by cytokines linked only to T helper cells. However, these immune responses are now described more broadly to include contributions from both the innate and adaptive immunity. In CRS, focus had been on ILC2s in CRS with nasal polyps. These studies also highlight the importance of epithelial cell–derived cytokines in coordinating these responses. In addition to indirect crosstalk via cytokines, ILCs and T helper cells can utilize the OX40/OX40 ligand and major histocompatibility complex class II pathways to directly interact and coordinate responses. In addition to T helper cells, ILCs contribute to the inflammatory response associated with CRS. The understanding of these cells along with pathways that activate and perpetuate these cells leads to new potential therapeutic targets for CRS treatment. The authors declare no conflict of interest relevant to this manuscript. Patients undergoing medically indicated functional endoscopic sinus surgery (FESS) were consented to having sinonasal tissue, which was removed as a standard of their surgery, collected and analyzed for studies shown in Fig. 2. The Institutional Review Board at the University of Texas Health Science Center at Houston approved the study protocol.